Tired of traditional Patient Satisfaction solutions that are not as flexible as your needs? Freedom is here. Simply and easily measure the real-time pulse of your patients and supercharge improvement across your organization. STOP measuring things that don’t help you make better decisions. BUILD any survey to collect the data you actually care about. STOP relying on lagging metrics and small, skewed sample sizes. 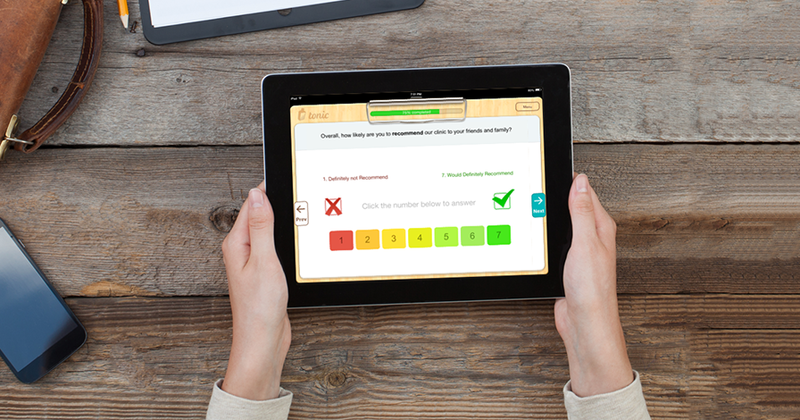 DELIVER any survey to any patient on any device at anytime. STOP getting stale, confusing reports that don’t help your organization improve. VIEW real time reports that move the needle. 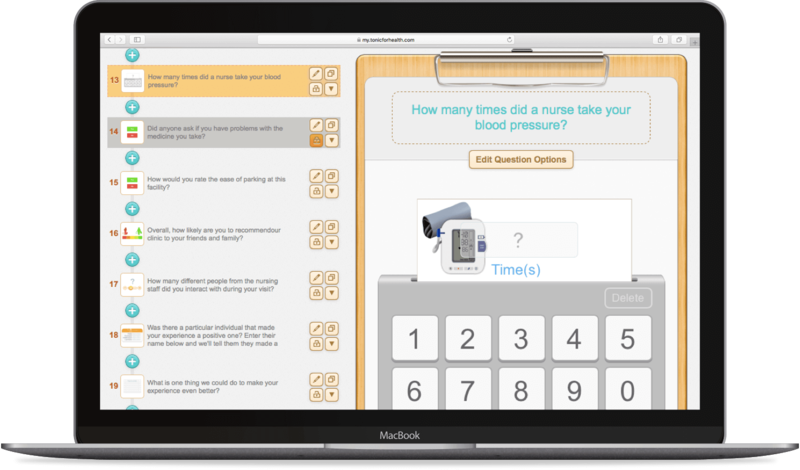 Easily and quickly customize patient experience surveys to finally ask all the questions your organization most wants to know. 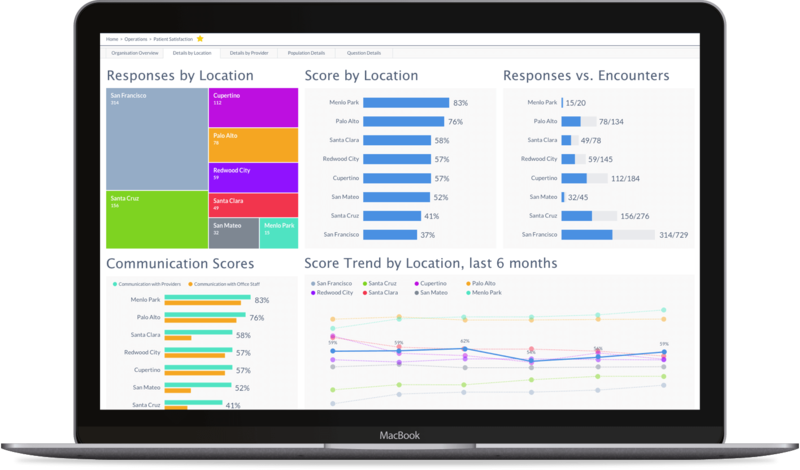 Or choose from a wide range of templates ready to launch in a single click, including best-in-breed patient satisfaction surveys, employee engagement surveys, NPS, leadership rounding, CAHPS and much more. Deploy surveys via email, via text or via our native tablet solution—the choice is yours with Tonic’s state-of-the-art mobile platform. Automate the delivery of surveys off your scheduling feed, a procedure date, a clinic location, a specific provider, an appointment type or even by other Tonic surveys you have deployed. And Tonic can also identify and filter out in real time those patients earmarked for a traditional CAHPS survey to avoid double surveying. 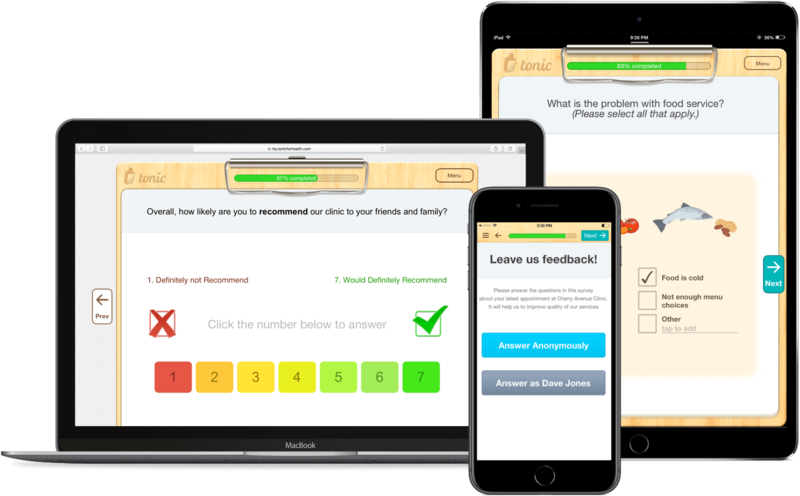 Get dramatically higher completion rates and less survey fatigue with the most simple and intuitive survey design on the planet—your patients and staff will love it! 24/7 access to prebuilt or custom reports and analytics inside Tonic. Insights are always at your fingertips. Drill down into specifics for easy comparison across clinics, departments, providers, and patient segments. Quickly identify and address any problems that pop up or bottlenecks that arise. And real-time service recovery alerts allow you to instantly take action on the most urgent issues. show you the magic of Tonic.